This topic is listed in Prayers, Thoughts and Good Vibes. It has been viewed 254 times and 41 replies have been made. Come leave a special Prayer for Honey65. Click here! In my thoughts and sending up Prayers for you Della! God Bless you hon and God - speed your healing process!! I have NEVER felt more alone then this week? Where are my friends??? Della..you are such a special friend to me. U always build me up when I'm struggling with my own illness. 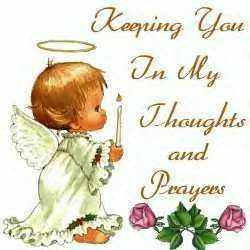 You are in my thoughts and prayers. 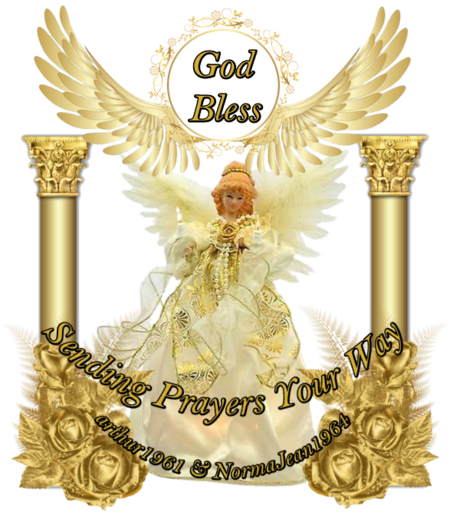 May you feel at ease knowing that God has His angels watching over you! You are such a sweet soul. 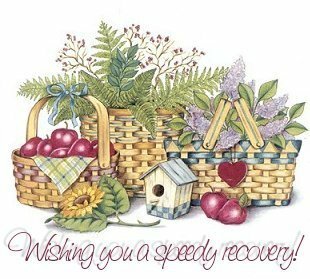 I wish you the best during the procedure and pray that you will feel better and have a quick recovery. all the best to you Della! Sending you ALL my prayers and thoughts and wishes for a full and speedy recovery Della...God Speed!! we miss ya! Prayers for comfort and a speedy recovery to you. prayers for you a speedy recovery! Sending prayers , for this beautiful soul ! Praying daily Della and rest assured God and His plan is lovingly at work to heal and rest your heart. IN GOD'S WAY.. BE WELL & SAFE MSDF. Prayers for you Honey and a speedy recovery. Thank you to all that have been praying for me.Surgery went well GOD IS GOOD!!! mom really appreciats the prayers and she will be in the hospital a few more days. ..
thank you for letting us know. Please keep us updated on how she is doing. Sending prayers up for you my long time friend... Love you …. Sending prayers and good wishes to you, Honey. I've had one of those for a number of years and it gives me peace of mind. Hope your recovery is speedy. SENDING PRAYERS FOR YOUR QUICK HEALING. WISHING YOU THE BEST. R.I.P. BarbaraMaria :( so shocked by this sad news. Hey Della! Sending warm thoughts to you! I know you'll have a full recovery and come back and sing on SS real soon! Take care of you my friend!!! Much love and prayers to you Della! !